Dan Willis was my English teacher at school in England, back in the sixties. He was a nice man, also directing the school plays, and productions at an amateur theatre that I belonged to, The Medway Little Theatre, Rochester, Kent. Consequently, during my school years, and subsequently, when I became a professional actor, Dan and I have kept in touch. However, I was a little lacking in the writing, spelling, and grammar department as a schoolboy, so telling him that I had written a novel was the hardest thing I had ever done, taking a great deal of courage to click the send button, but once I had, I felt happy and satisfied. Therefore, I would like you to read the email I wrote to him, which sums up the beginnings and inspiration for my soon to be published novels, The Durra Durra Saga. Dear Dan, I know I haven’t told you, and I must admit, I’m quaking in my boots as I write this, but for the last two years I’ve been writing a novel! Last week, on the 30th October 2008 I finished it. I’m aware of your opinion Dan. But I had to do it. It’s been a compulsion. I’ve never felt as driven to do anything in my life. My story begins in England, in the late eighteenth century, moves to Australia in the 1830’s, returning to England in the 1840’s. It involves two men: and how they shape each other’s destiny, a tale inspired after I discovered I could claim a convict ancestor. The novel is called ‘The Durra Durra Saga’, and these are the known facts of the story, as I knew them. James Baker Waldon was born at Little Thurlow, in Suffolk, March 1812, the son of Elizabeth Waldon, nee Myson, and James Waldon. Then, for some reason as yet unknown, James and his father, and younger brother, John James, are later located in Bath. The year is 1831, and my GGG Uncle, James Baker Waldon, is arrested, tried, and sentenced to fourteen years hard labour, thence transported to Sydney, his crime, the theft of a pocket handkerchief in the City of Bath. The Australian convict records are extensive, so much in fact, that while researching, I discovered a great deal about young James. He was nineteen when arrested. I knew his religion; that he could read and write; the tattoos he wore on his arm; his trade, as well as his appearance. I also discovered the name of the person to whom he was assigned upon his arrival in March 1832. His master was a young man, Luke William Reddall, the son of a clergyman. Luke farmed two and a half thousand acres, on the southern tablelands, over two hundred miles south west of Sydney. Luke was nineteen, and the same age as James. In November 1831, James Baker Waldon left England on the convict ship, ‘Isabella’, and was one of a living cargo of two hundred and fifty male convicts. The master of the ship was Captain William Wiseman, and the surgeon superintendent, Thomas Galloway. On his arrival in Port Jackson on 15th March 1832, James was sent to Luke Reddall’s property, Mutt Mutt Billy, on the Breadalbane Plains, south of the small township of Goulburn. He may have worked as a shepherd, or followed his trade as an ironmonger. With so many which? Why’s? And Wherefores’? Together with my vivid imagination, I began seeing a story unwinding in my mind. After some initial research, I knew a reasonable amount of what had happened to JBW, so I drew up a list; a cast list I suppose, of the people I knew had lived in his life. 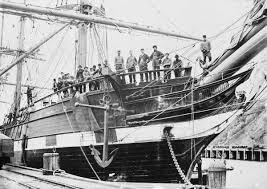 I next made a list of locations (including the convict ship) both in England, and in Australia. Then it was necessary I find another male character, a foil for James, so I began to research Luke William Reddall, sifting through the Reddall family papers in the State Library of New South Wales. Luke was the youngest son of the Reverend Thomas Reddall, and his wife Isabella. 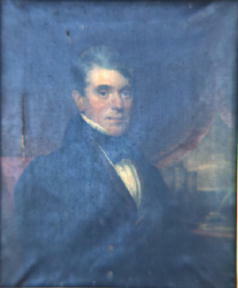 In 1820, the Governor of the colony, Lachlan Macquarie requested that Thomas Reddall leave England, and travel to Sydney for the purpose of setting up a colonial national education system. 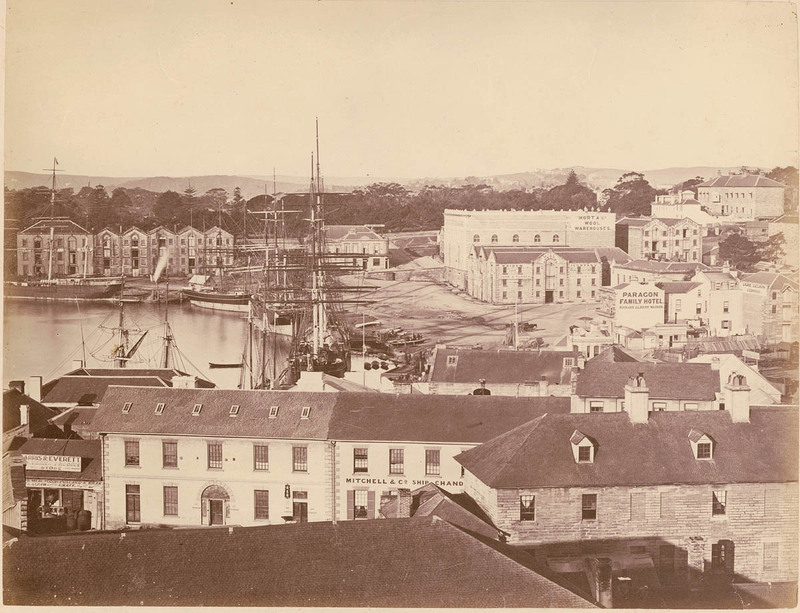 In May 1820, the family, including four year old Luke, his elder brother John, and four elder sisters, plus one hundred and ninety female convicts, sailed from Woolwich Pier, on the convict ship, Morley, arriving in Sydney four months later. After several months living in Sydney, during which time Thomas Reddall senior taught at the orphan school, the family settled in Campbelltown thirty miles south, where Thomas supervised the building, and later became the incumbent of St. Peter’s Church. Thomas was an ambitious man, ambitious for himself and for his two sons. Consequently, he persuaded Governor Macquarie to grant him and his two sons, John and Luke, large amounts of land, although the boys were still too young to farm. The story of the Reddalls is not a happy one. Thomas becomes hampered by debt and dies, suddenly in 1838 during a cholera epidemic, his youngest daughter Amelia dying five days later. His eldest son, John Reddall, is committed to an asylum, and dies in 1856. In 1841 Luke, who is by then the main stay of the family, is tragically washed away, and drowned in the Murray River while washing sheep. He was 29.These were the known facts, together with my main characters, and from somewhere in my mind the plot began to evolve. James, the wrongly accused lad, wrenched from the ones he loves, and sent to Australia for a crime he never commits, and Luke, the mysterious, romantic pioneer, farming alone on thousands of acres, surrounded by hundreds of sheep. The lives of these men collide, and as the story unwinds, we discover that they are linked by an unbelievable twist of fate. ‘This would make a marvellous novel, or a movie’, I’d say. ‘Well write it,’ he’d say. ‘Make us a million! On a sunny afternoon, the 25th April 2006, ANZAC Day in fact, I found a biro, together with a pile of printing paper, then lying on the bed, with the dogs asleep around me, I wrote my first sentences. However, there was no reply, only the sound of a crying baby. Hearing a door slam, Lizzie leaned on the sill and peered out of the window, only to see Mrs Jesshope striding down the path leading to the river, baby Alice in her arms. “Mrs Jesshope!” Lizzie yelled again. It was pointless, since her neighbour was unable to hear her over the screams of the child. Lizzie collapsed back onto the bed and closed her eyes. Then last Tuesday, on a station platform, I wrote the last sentences. Sitting at a table, Mary was sewing, her work lit by a circle of candle light. It was reassuring, she thought, as she looked toward the window, to see the lights of Thurlow Hall once more shining into the sky like an oriental jewel, or a constellation. All of a sudden, another light, far brighter than the rest took it’s place in the firmament. It sent out a beam, like a beacon into the night, everyone seeing it knowing it to be a symbol that everything was as it should be, and would be for all eternity. In between these paragraphs, there have been three sea voyages; one flood; one forest fire; one house fire; eight births; nine deaths, and five marriages. An aborigine attack; a Maori raid, two bush ranger hold ups; two cattle musters; numerous banquets; two balls and one bath. Two rapes; one duel; one boxing match, and many many breakfasts. There were two intrepid expeditions, three coach rides, one train ride, and five coaching inns, plus a hanging. Numerous sun rises and sunsets; dozens of starry nights, and frosty mornings; countless cicadas; flocks of cockatoos, and towering gum trees, shimmering in a dozen mirages. There was even a visit to Queen Victoria and Prince Albert’s bed chamber. I’ve had a marvellous time! After finishing the main body of the novel, I wrote the epilogue, important, as the twist in the tale lies there. 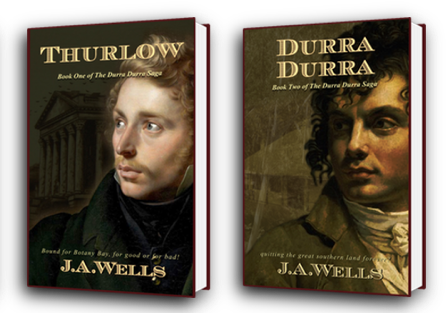 Dan, I would like to think, that when someone finally reads The Durra Durra Saga one day, they would consider it full of wonderful characters, exiting events, romantic heroes, tragic heroines, and magnificent locations, since I know my book is all of this, and more. Whatever happens, I know I’ve been compelled to write it, and have loved every second of the process. In fact, I think I can say with all honesty, I’ve not enjoyed anything more. Therefore, if nothing else, at least I can say that I’ve done it. I am aware my grammar is not the best, consequently, now that the last word is written, it’s time to return to chapter one, and begin the big edit. Everything needs to be grammatically correct before I show it to anyone. Thank heaven for works spell and grammar check, I say! It tells me about passive voice, end of sentence prepositions, and wordiness, but a computer can’t compute everything. Dan, I can’t tell you how hard it’s been to write this email, telling you about my magnificent labour of love. However, now it’s done, and if I’ve the courage to click on the send button, by now you’ll be reading it. ‹ The Dreadnought Boy: a novel in progress.